TuffStuff Proformance Plus Series Selectorized Single Stations from Commercial Fitness Superstore of Arizona are by far the safest and most effective way for larger fitness facilities to accommodate high numbers of people who strength train. TuffStuff Selectorized Single Stations provide single function, simple to use designs so that users have their own piece to train on that guides them through the proper use. 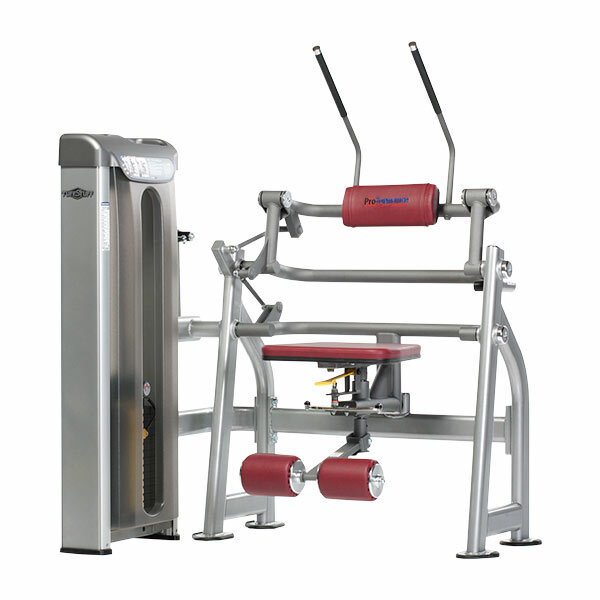 The TuffStuff PPS-200 Chest Press is a selectorized chest press machine, featuring converging press arm technology. The unique floating handle design on the PPS-200 allows the user to customize their wrist position during movement. 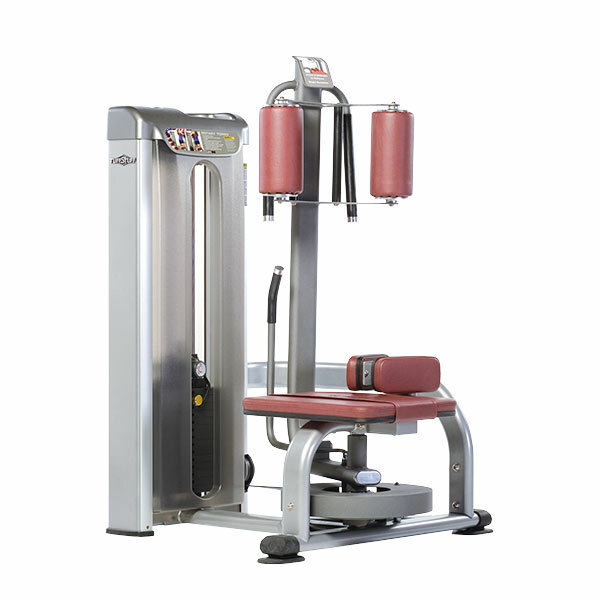 The TuffStuff PPS-205 Shoulder Press is a selectorized chest press machine, featuring converging press arm technology. The unique floating handle design on the PPS-205 Shoulder Press allows the user to customize their wrist position during movement. 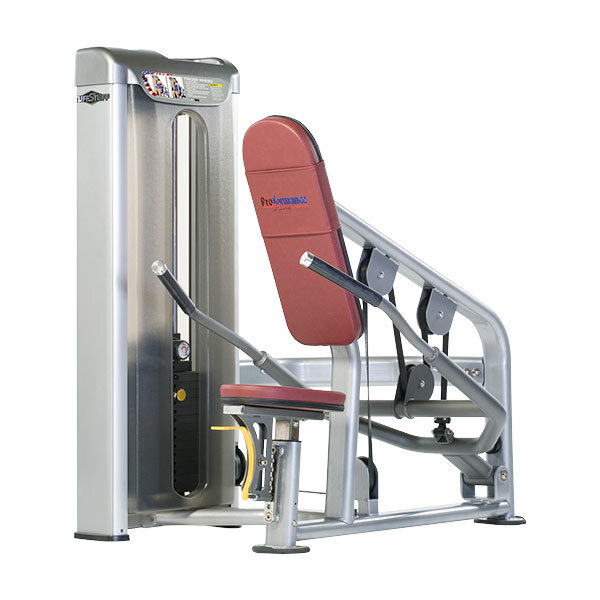 Additionally, the TuffStuff PPS-205 Shoulder Press features an easy access, gas assist seat adjustment for additional comfort. The TuffStuff PPS-206 Biceps Curl is a selectorized bicep machine, featuring a multi-grip handle design, allowing for underhand or overhand grip positions. the TuffStuff PPS-206 Biceps Curl pivot arms are counter-balanced to 0 lb. at starting position. 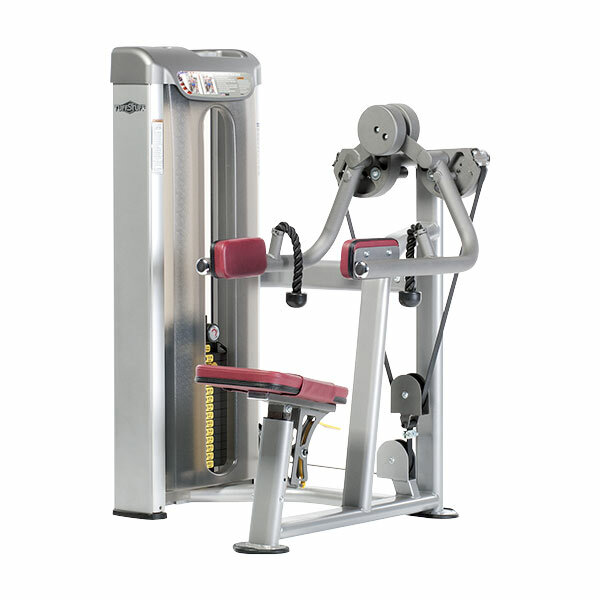 The TuffStuff PPS-207 Seated Row is a selectorized bicep machine, featuring 360º fully articulating open handles with 5/8” Teflon coated rod ends provide, and a user defined path of motion. 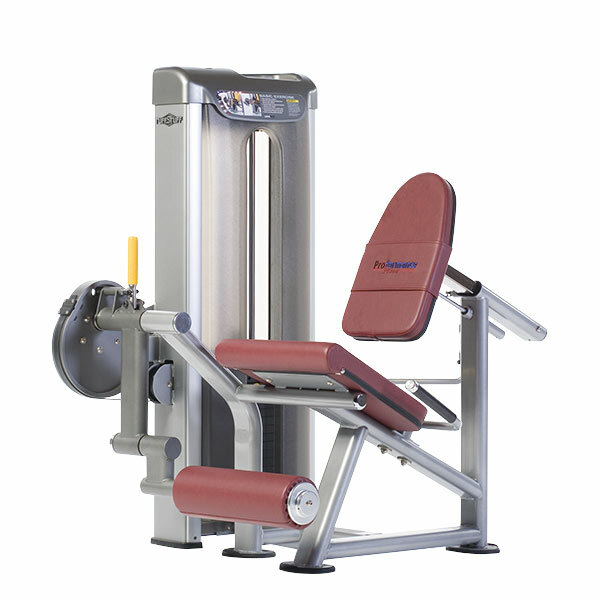 The TuffStuff PPS-207 Seated Row also features an easy access gas assist seat adjustment, as well as a multi position gas assist chest support adjustment. 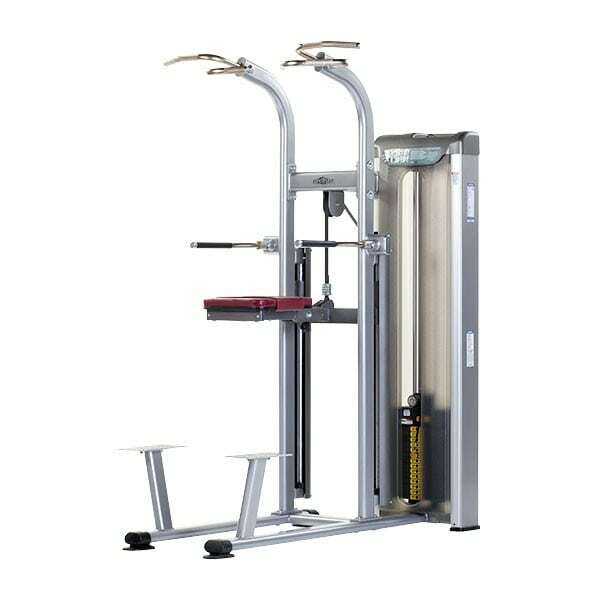 The TuffStuff PPS-208 Low Row is a selectorized bicep machine, featuring aluminum non-slip diamond foot plates. Additionally, the TuffStuff PPS-208 Low Row also has been designed with an extra wide bench pad provides maximum support and stability, and the ergonomic bench angle allows full low back stretch. The TuffStuff PPS-210 Lat Pulldown is a selectorized bicep machine, featuring adjustable thigh hold-down pads that provide stability and firm support during workouts. 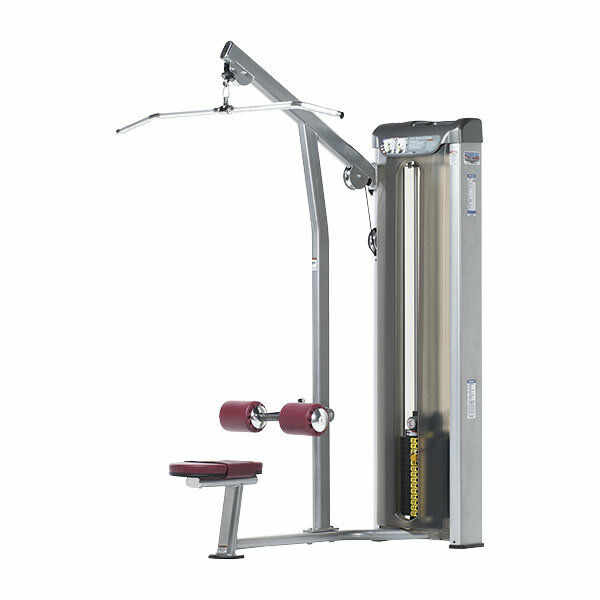 The TuffStuff PPS-210 Lat Pulldown also includes a swivel lat bar attachment with locking spring hook that provides reliable and safe performance. 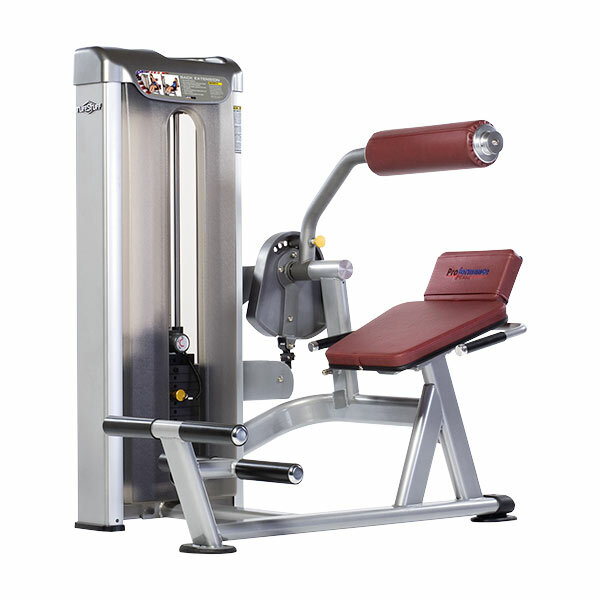 TuffStuff PPS-212 Tricep Press is a selectorized tricep press machine, featuring a biomechanically correct seat design, allowing for full contraction and arm extension. 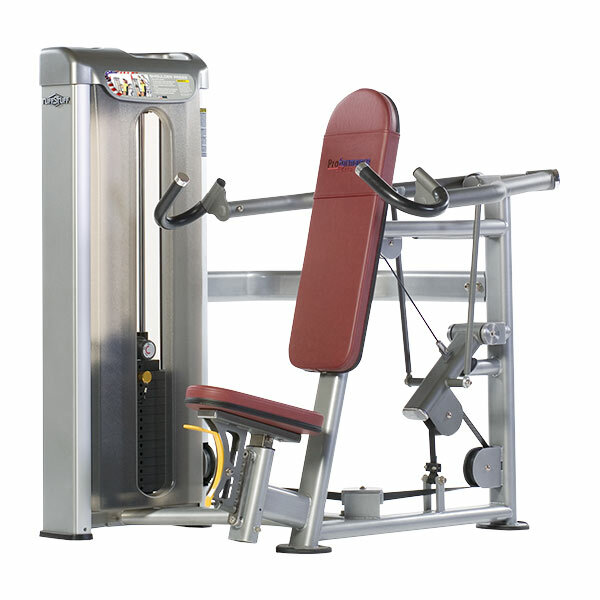 The PSS-212 Tricep Press also features an ergonomic handle design that maximizes tricep isolation, and an easy access gas assist seat adjustment. The TuffStuff PPS-213 Lateral Raise is a selectorized lateral raise machine, featuring counter-balanced pivot arms, which provide both a smooth motion and a low-starting weight. Custom rope handles on the PPS-213 allow for free hand movement, and ensure correct exercise application. And, the TuffStuff PPS-213 is also designed for easy access and comfort via a gas assist seat adjustment. The TuffStuff PPS-215 Assisted Chin / Dip is a selectorized assisted chin / dip machine, featuring a counter-balanced knee pad, which allows the user to control the desired weight-assist during exercise, and folds away for unassisted exercise. 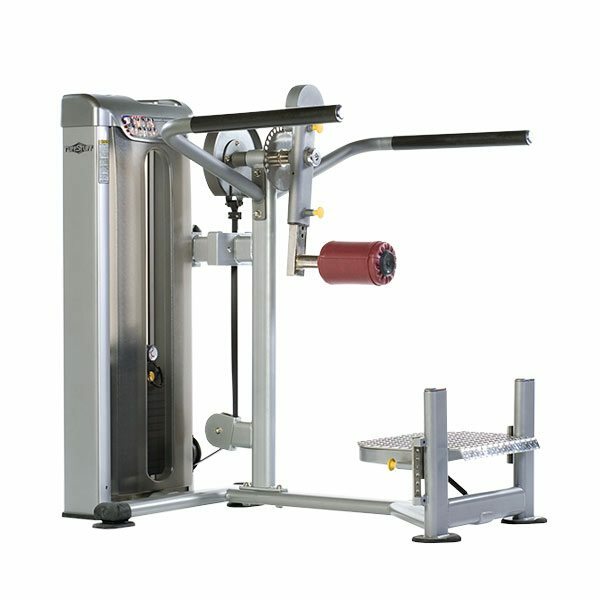 Twist-lock narrow or wide dipping handles are an additional feature on the TuffStuff PPS-215 Assisted Chin / Dip machine, as well as multiple chin-up handles and grip positions. 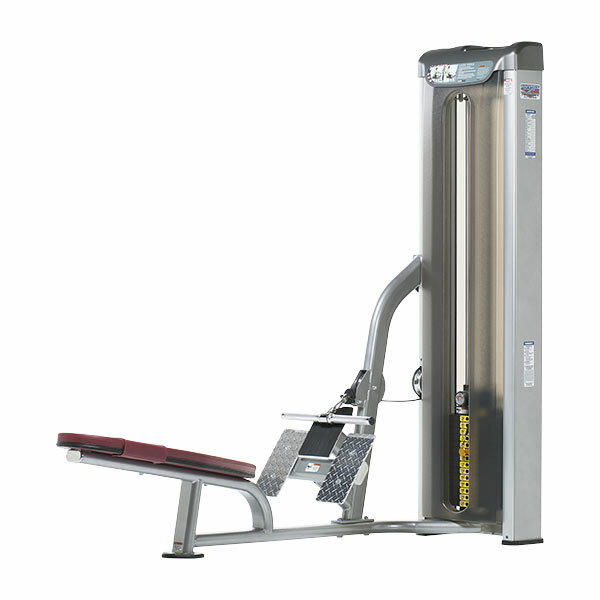 The TuffStuff PPS-220 Abdominal Crunch Machine is a selectorized abdominal machine, featuring a three-point rotation, which creates an ideal arching motion for the torso, while lifting the lower body upward. The PPS-200 also features a custom design which allows users to begin exercising without any adjustment to the seat or movement arms. And, your clients will also appreciate the 5-way seat positioning, with easy pull=-pin adjustment. 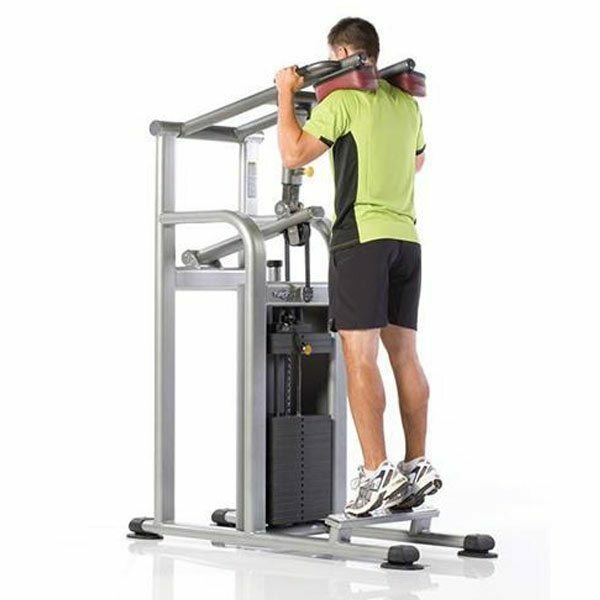 The TuffStuff PPS-221 Back Extension is a selectorized back extension machine, featuring an adjustable pivot arm with multiple start positions. The PPS-221 also features a lumber support, which prevents accidental over extension during the exercise. And, your clients will also appreciate the dual footrests that accommodate various leg lengths, as well as the built-in handles for control and support. The TuffStuff PPS-222 Rotary Torso is a selectorized rotary torso machine, featuring TuffStuff's exclusive design, which keeps the user's torso and knees stationary while resistance is applied to their mid-section. The PPS-222 also features multiple start positions, which allows the user to choose their angle of rotation. And, a smooth, “frictionless” cam system assure assures consistent resistance throughout the entire rotation. The TuffStuff PPS-231 Leg Extension is a selectorized leg extension machine, featuring a pivot arm with pull-pin release for multiple start position adjustments. The PPS-231 also featured a gas-assist back support that easily adjusts for proper positioning and knee adjustment. And, the footroll self-adjusts to accommodate different leg lengths. 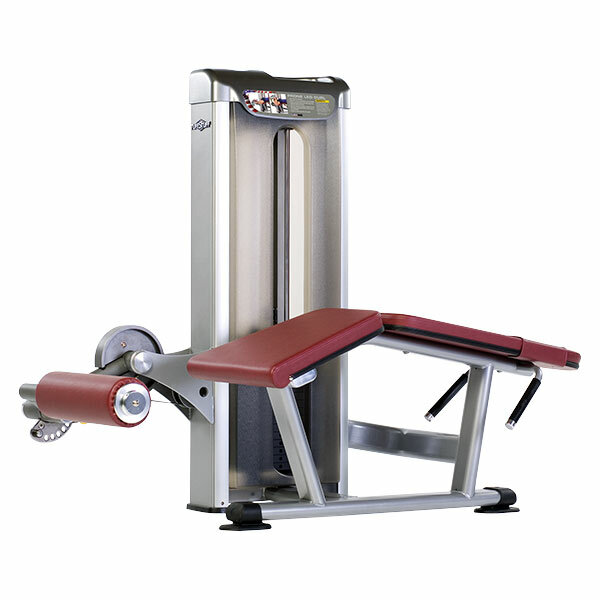 The TuffStuff PPS-233 Prone Leg Curl is a selectorized bicep machine, featuring a V-Bench design, which provides natural support and helps to reduce lower back pain. 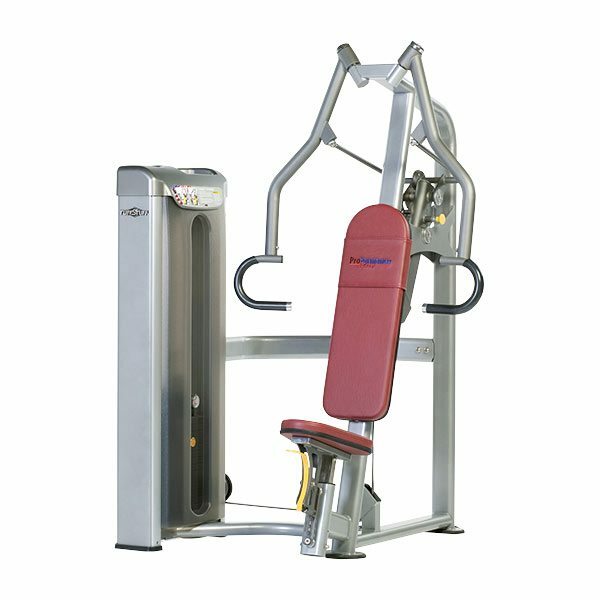 The TuffStuff PPS-210 Lat Pulldown also includes adjustable footroll to accommodate various size users, and built-in side handles for support and control. 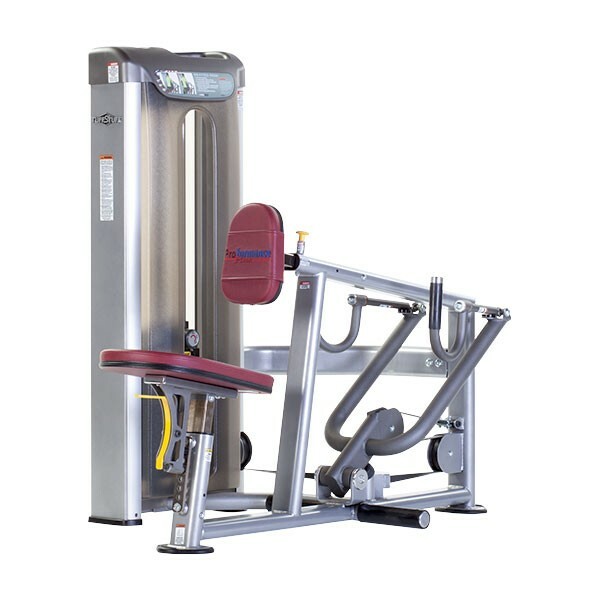 The TuffStuff PPS-237 Multi-Hip Flexor is a selectorized multi-hip flexor machine, multiple start positions with a counter-balanced pivot arm and fully adjustable roller pad, designed to accommodate different user heights. And, the PPS-227 Multi-Hip Flexor also features a gas assist platform elevation adjustment, as well as dual handrails for additional balance and support. 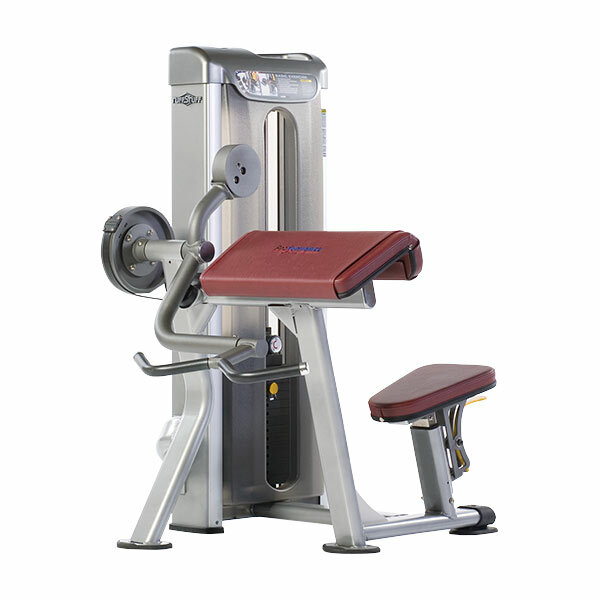 The TuffStuff PPS-238 Multi-Hip Flexor is a selectorized standing-calf machine, featuring high-density pads with contoured shoulder support adjustments, designed to accommodate an individual's unique height and range of motion. Additionally, the PPS-238 Standing Calf also features direct linkage pivot arms, designed to ensure true and balanced movement, and a non-slip, aluminum foot platform angled for proper body alignment.